Be sure to enjoy recreational amenities, including an indoor pool, a spa tub, and a fitness center. Additional amenities at this hotel include complimentary wireless Internet access, wedding services, and a fireplace in the lobby. Guests can get around on the complimentary shuttle, which operates within 1 mi. 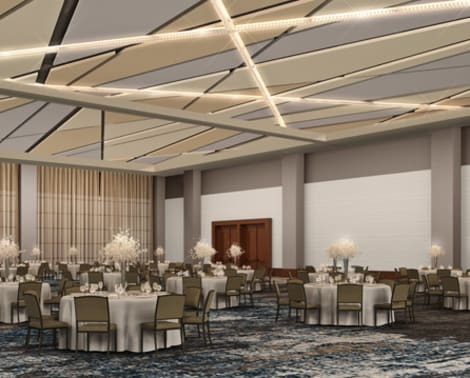 Hilton Cleveland Downtown is in the heart of Cleveland’s vibrant downtown area, connected to the First Merit Convention Center of Cleveland, and near attractions, dining and entertainment. Enjoy a concert or game at the Quicken Loans Arena, First Energy Stadium or Progressive Field. 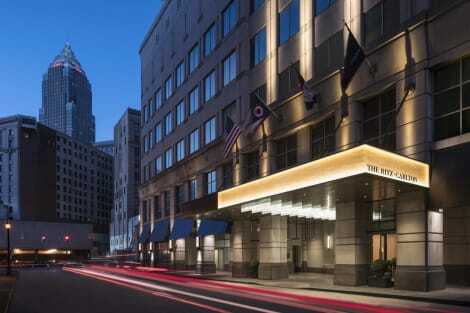 Nearby are the Rock and Roll Hall of Fame and Museum, and Playhouse Square.Our downtown Cleveland hotel offers 600 beautiful, functional rooms with sleek, modern decor. Enjoy the exceptional views of Lake Erie and the Cleveland skyline, and handy amenities such as a 50 inch to 65 inch HDTVs, an iHome docking station with USB connectivity, a mini-fridge, safe, and built-in workstation. WiFi is available for a fee. 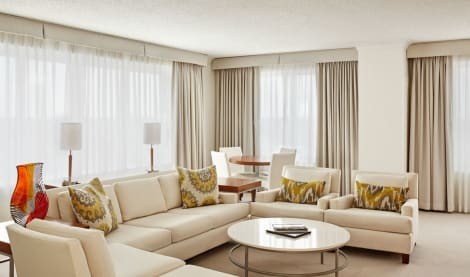 Upgrade to a suite to have a separate living area.Enjoy fine dining at the on-site restaurant and appreciate a cocktail and a great view of Lake Erie from Bar 32 on the top floor or relax with in-room dining. Enjoy a meal at the restaurant, or stay in and take advantage of the hotel's room service (during limited hours). Quench your thirst with your favorite drink at the bar/lounge. A complimentary hot/cold buffet breakfast is served daily. Enjoy American cuisine at Moce Cafe & Bar, a restaurant which features a bar, or stay in and take advantage of the room service (during limited hours). Buffet breakfasts are available for a fee. Make yourself at home in one of the 491 air-conditioned guestrooms. Wireless Internet access (surcharge) keeps you connected, and cable programming is available for your entertainment. Bathrooms feature shower/tub combinations, complimentary toiletries, and hair dryers. Conveniences include phones, as well as safes and desks. Make yourself at home in one of the 206 air-conditioned rooms featuring refrigerators and iPod docking stations. LED televisions with satellite programming provide entertainment, while wireless Internet access (surcharge) keeps you connected. Private bathrooms with shower/tub combinations feature designer toiletries and hair dryers. Conveniences include phones, as well as laptop-compatible safes and desks. 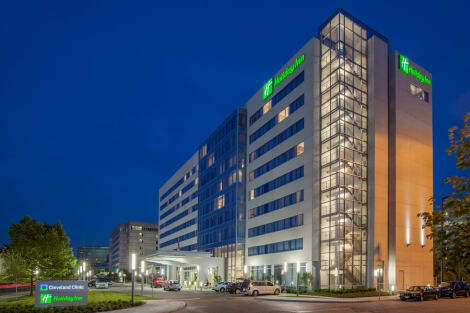 lastminute.com has a fantastic range of hotels in Cleveland, with everything from cheap hotels to luxurious five star accommodation available. 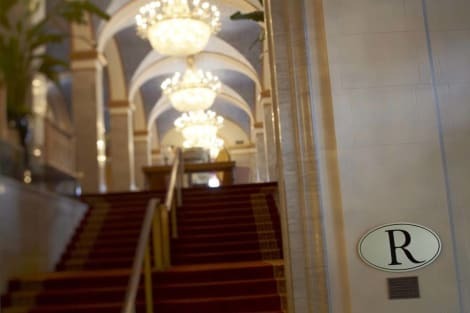 We like to live up to our last minute name so remember you can book any one of our excellent Cleveland hotels up until midnight and stay the same night.